By keeping our finger on the pulse of the industry, we help you create more revenue for your salon. You'll have instant access to innovative products, expert advice, salon tips, training tools and much more. We are proud to offer more than 1500 products. Our selection of professional, high-quality products provides you with everything you need to create, high-fashion hands and nails. We're here to help you grow your business. About BrillBird BrillBird philosophy In the word BrillBird ’Brill’ signifies precious stone; it is clean, shiny, sparkling from all angles yet in the same time it is tough and timeless. BrillBird products are the same: clean, sparkling and resist the passing of time – they are created to last. From this parallel comes the BrillBird slogan: your nail is your jewel. 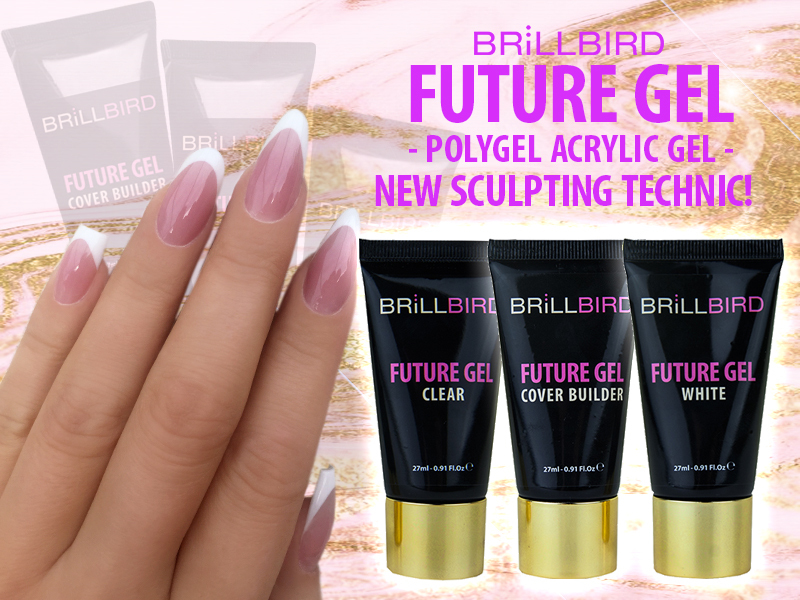 The second part of the word BrillBird is ‘Bird’, a stylized bird, the symbol of freedom and the soaring high; with the assorted and varied materials and sophisticated tools of BrillBird everyone can taste the creative freedom of beautiful nails. It is the most exciting task to create harmony between fashion and style, they seem so similar, yet they are truly different: fashion is dynamic, fast-paced, changing at least every six month, style is constant and is independent of the fast changing world of fashion. Style also renews itself in certain aspects and details, yet it always retains the unique and essential part of its character. BrillBird changes together with fashion: there are always new colors, new techniques and new developments, but in the meantime it has its own unique style independent of the whims of fashion, that is a safe anchor amidst the storm of changes: the BrillBird style is elegance. How to create water effect on the nails? In this nail video you get the answer. We show you step by step the process with all BrillBird nail products we used. Nail Step By Step photo gallery. Nail technician guide with BrillBird products.